This is not a yolk! The internet has got people scrambling to like a picture of an egg in hopes of becoming the most liked image on Instagram, which btw, was held by Kylie Jenner with 18 million likes. It was the first picture of newborn Stormi Webster holding Jenner’s thumb. Well, they just did it! 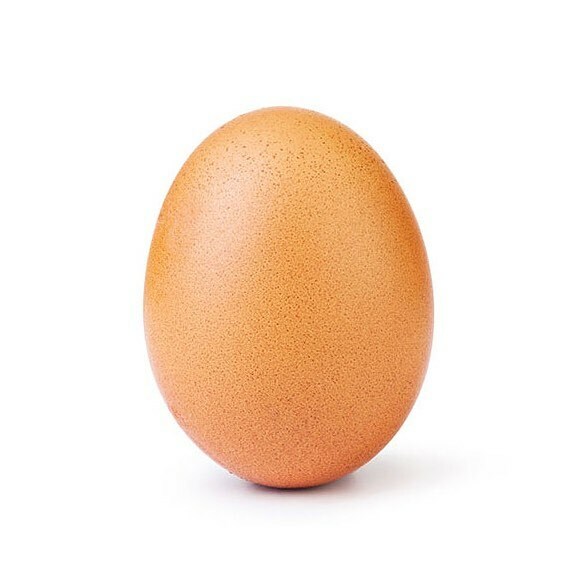 The picture of the egg has reigned supreme with over 20 million likes (and still growing), becoming the most liked post on Instagram! Look at the egg, such simplicity, such eleggance. Standing tall and proud. Lesson learnt? Never underestimate the people’s love for THE EGG. Who knows who, or what else will try and break this new record, but we certainly hope it’ll be this funny.